On 20 May, Nirmala Sitharaman issued directions for the opening of all cantonment roads across the country. 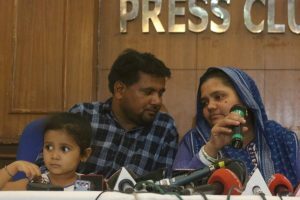 Her claims of the army having been taken on board appear to have been without valid basis, as despite the army chief defending her statement, all roads have not been opened, as reports from Secunderabad indicate. Had the army been taken into confidence and had agreed with her decision, this state of affairs would never have arisen. This decision infuriated serving officers, veterans and well-wishers concerned with security of army families. It led to the greatest divide between the army and civilians residing around the cantonments who had taken the use of cantonment roads as a right. It also opened doors for builders to construct more colonies around cantonments and enhance their rates as cantonments are always the cleanest and least polluted regions in cities, and colonies around them are prime properties. The decision ignored rulings on the subject by the A P High Court High Court which had ruled in the army’s favour and directed local municipal authorities to evolve a solution. Rather than questioning municipal authorities and insisting they act, Mrs Sitharaman ordered the army to open all roads. The decision was taken to appease residents and possibly gain votes, ignoring the army’s desperate cries of loss of security. Even after meeting a delegation of army wives, the Minister did not act. The order categorically asked for removal of all barriers and checks at entry points. Thus, cantonments became freeways. The political implications of the decision were evident when BJP workers celebrated outside cantonments and drove convoys of vehicles through with party flags prominently displayed. Based on her orders, in many places temporary structures created to ensure security were removed and monitoring was stopped. Locals who had earlier stayed away from cantonments fearing armed security personnel deployed at multiple places, entered, argued with and even challenged those on duty. 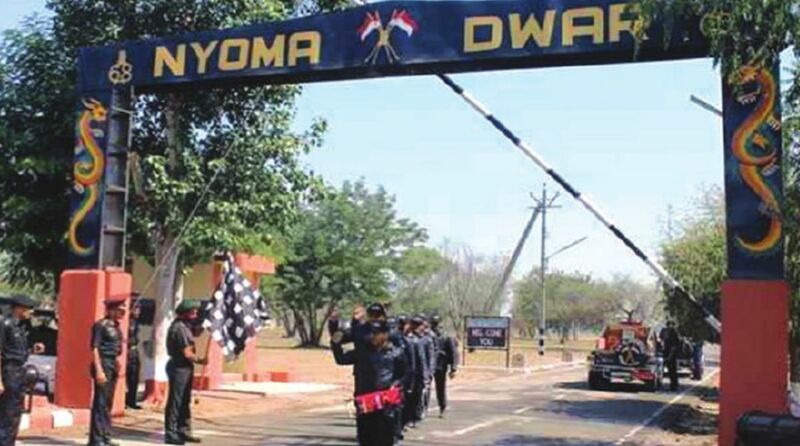 The army, which is the instrument of last resort, lives in cantonments segregated from civilians and meant to be aloof as its nature of employment is such, is now no longer a force which would be feared or respected. The minister’s directions that further closure of roads would be decided by her ministry has clearly sent a message that she has no faith in generals, who are supposed to be responsible for all those residing in the cantonments. They can launch soldiers into battle which leads to loss of lives, direct forces capable of mass destruction, but are incapable of deciding on security within their own cantonments. The minister’s directions indicate her preference for the word of bureaucrats, either officials in her ministry or members of the defence estates, widely viewed as the most corrupt central government service and recommended for disbandment by former minister AK Antony and the Comptroller and Auditor General. Those involved in taking the decision have no clue about issues concerning security and are least concerned as it is not their responsibility. Over-familiarisation with the army has reduced the fear of the force within Kashmiris and they have begun to challenge uniformed presence by throwing stones. It has also been termed as an occupier in the valley. The same would be the state in most cities where cantonment boards exist, and roads have been opened for public use. In Haryana during the last riots, the army had to conduct flagmarches carrying placards saying it was the army. Now in areas where public fear has been removed by open movement and no restrictions, the army’s impact during maintenance of law and order would be reduced. In places where all roads have not yet been opened, the public has begun to protest and complain to the MoD and other local military authorities. In these cantonments, the army has begun to be viewed as anti-public and hatred for it is on the rise. Nonopening of all roads has created an army-civilian divide which never existed in the last seventy years. At the time of implementation of the order, the Minister had promised a review of the roads after a month, based on data of usage and security issues. It is now over a month since she took the decision. The flooding of social media against her decision as also anger within the serving community should have by now woken her up to the fact that the decision has caused more harm than good. She faced wrath across the board, other than from the few who were benefitted, including local politicians and builder lobbies. The data which she would have desired would now be available to her ministry. Further action would be dependent on what her perceptions are. If she has decided not to change her mind, then this data will remain under study like the Reddy Commission report, which has been in limbo for almost two years. She would continue repeating at every press conference that the data is under study or that she has sought more details. If she decides to continue with her present decision and does not authorise senior army authorities to consider and implement at local levels, then the message being conveyed is clear. It is that the army family’s security and preservation of cantonments means nothing. It could also imply that this is the first stage of encroaching on defence land and more would follow. Cantonments would in the future no longer be the preserve of the military and prime land would be sold for political and financial gains. Further, growing anger against her decision is reducing support to her party from those who had openly and wholeheartedly backed them in 2014. The government must reconsider this decision.